If you are the proud owner of Google Nexus 5 smartphone and looking for the guide to Install Nexus 5 Driver (ADB and Fastboot) and Unlock Bootloader. Today in this guide, we will show how you will do that on your PC without any problem. The guide is little bit lengthy, but not so hard. All you have to install some files and run some commands on your windows system and on your phone to complete the installation process. Most of the new android phone users don’t know how to install these ADB and Fastboot drivers and unlock the bootloader. Once the drivers are installed and bootloader is unlocked, you will root your nexus 5, Install custom roms and install custom recovery. Warning: Warranty may be void of your device if you follow the procedures given on this page. Read all the instruction very carefully and We won’t be liable if any damage occurs to your device. You only are responsible for your device. First enable USB Debugging mode on your phone, to do this go to Settings > About phone > Tap on Build number 7 times. This will enable Developer options. Now go back to Settings > Developer options > Enable USB debugging. Step 1. Download the latest Google USB Driver here [Mirror Link] and extract the folder on your desktop. Step 2. Now Connect your Nexus 5 to your PC with USB cable. Step 3. 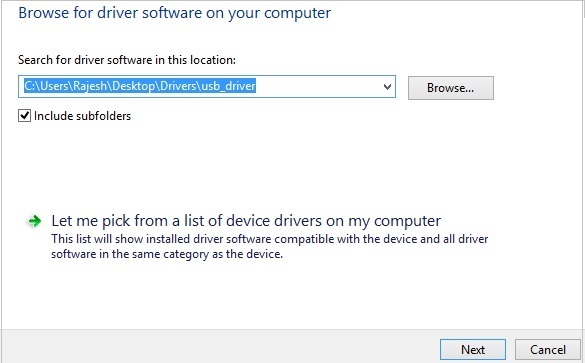 Open the Device Manager on your desktop (To do this Search for Device Manager from Start screen and click to open. Step 4. Once the Device manager is on your screen you will see the Nexus 5 on the Other Device list option with a yellow exclamation mark. 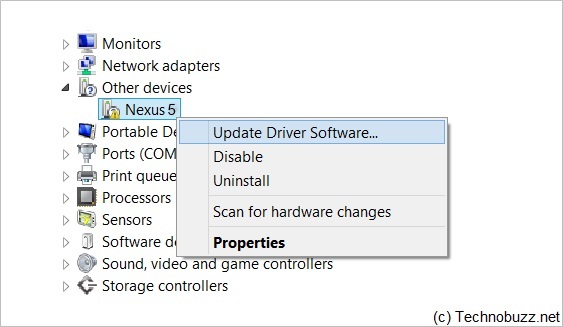 Right Click on the Nexus 5 and select Update Driver Software. Step 7. Once the installation is finished on your PC, go to the Device manager and confirm. 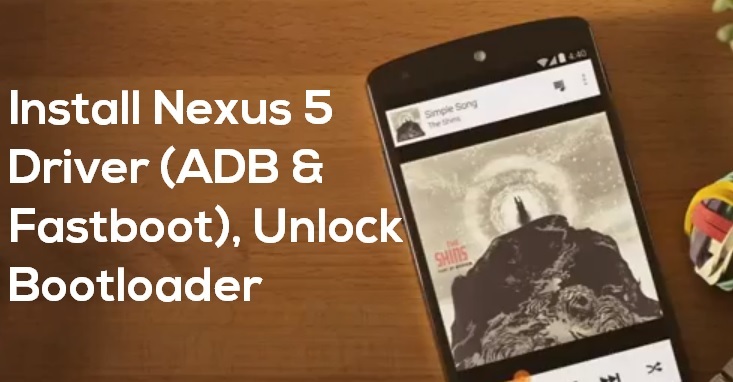 Here your Nexus 5 should be listed as ‘Android Composite ADB Interface’. Step 1. Enable USB Debugging Mode. Step 2. Switch off your phone and boot it in bootloader/fastboot mode. To do this Hold Volume Up Key + Volume Down Key and then press the Power button. Step 3. Connect your phone to the computer, Now PC will automatically recognise and install the right drivers for fastboot. Now the Nexus 5 Driver are installed on your PC, so let’s get started to unlock the bootloader. Step 1. First take the backup of your android phone. Step 2. Download the Nexus 5 Unlock Bootloader files here and extract the folder on your desktop. Step 4. 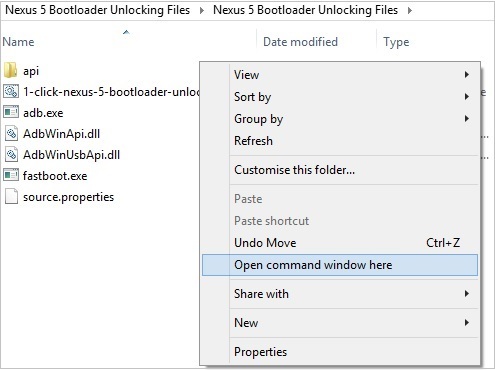 Now open the Nexus 5 Unlock Bootloader folder on your desktop and Press Shift key + Right click on any empty space inside the folder, and select Open command window here. Step 5. Connect your phone to the computer, and type fastboot devices in the command prompt window. Step 7. Now on the Nexus 5 screen you will see the message to unlock bottloader or not. Use the volume rockers to highlight “Yes” then press power to confirm the action. That’s all. Now your nexus 5 bootloader is unlocked. How come the device manager shows Google nexus 5 adb interface instead of composite adb interface? And why does it show Google nexus 4 boot loader when my phone is nexus 5?